As a travelling mom with teens, I can vouch for the fact that it’s a world apart from travelling with kids of the pre-teen variety. One of the keys to success in traveling with teens is to find destinations with enough attractions and ‘cool stuff’ to keep them happily engaged. Cities like New York, Houston, Los Angeles and Chicago have all the ingredients needed for a great family getaway with teens in tow. In our lowdown of the best things to do in Chicago with teens, we’ve highlighted (in random order) lots of teen-friendly museums, shops, restaurants, parks and events, making for plenty of Insta-moments to share with friends, as well as treasured family travel memories. Recently named the “Best Big City in the U.S.” by Condé Nast Traveler’s Readers’ Choice Awards for the second consecutive year, Chicago is an amazing city. Full stop. As far as being an attractive destination to bring your potentially picky teenaged traveler, it hits all the high notes. There’s food, culture, music, history, architecture, entertainment, and Instagram-worthy selfie opps. And did I mention the food? Here’s what to do in Chicago with kids of any age, but especially teens and tweens. The Bean, officially known as Cloud Gate, has become an iconic symbol of Chicago. Locals and visitors flock to see their reflections in the impressive bean-shaped public art structure by Anish Kapoor. Its reflective surface is perfect for selfies and creating cool photo effects. The Bean is one of the highlights of Millennium Park, which also includes the fun Crown Fountain. This interactive art-piece consists of two 50-foot glass block towers that loop a video reel of faces, and is a great place to cool off in summer. If you have a young budding architect, engineer or urban planner in the family, taking a Shoreline Sighting Architecture River tour on the Chicago River is an absolute must. The incredible skyline that is today’s downtown is a result of the rebuilding that took place after the Chicago Fire of 1871. Architects like Louis Sullivan, Frank Lloyd Wright and Daniel Burnham changed the city with their buildings, and they tell a story about the history of Chicago. Seeing one hundred years of architectural styles and designs from the river is the best way to appreciate Chicago’s skyscraping landmarks. Enjoy a stroll along the revitalized Riverwalk after your tour finishes, and pop into the massive Apple Store on the north side. You can charge your phone for free, or just take a breather in their stadium seating overlooking the Chicago River. Chicago’s museum campus houses several outstanding attractions that will interest teens and tweens alike. The Shedd Aquarium is home to more than 32,000 marine creatures, including enormous, gentle whale sharks. Dolphins and penguins are popular favorites, but don’t miss the magical jellies, the Giant Pacific Octopus or the dragon moray eel. One of the oldest art museums in the United States, the Art Institute of Chicago houses a treasure trove of artwork, including one of the largest collection of Impressionist and Post-Impressionist art outside the Louvre. There are more than 300,000 pieces of art to view, including ancient Roman pottery, Greek sculptures, and modern art like Pablo Picasso’s The Guitarist. For something really cool, head downstairs to the Thorne Miniature Room. This intriguing hall is filled with tiny rooms that are copies of real interiors of churches to Tudor castles to one of Frank Lloyd Wright’s houses. It’s like the land of exquisite dollhouses. Seeing Chicago from the air is a real treat for family members of any age. Go up, up, and away for an unforgettable 15-minute tour of the city with the Chicago Helicopter Experience. Soaring across the skyline, get up close and personal with the city’s historic skyscrapers like the Willis Tower, Hancock Tower, Navy Pier, Lincoln Park and Wrigley Field. Got history buffs and Hamilton fans in the family? Hamilton: The Exhibition will premiere in Chicago on April 6, 2019. Created by Hamilton musical creator Lin-Manuel Miranda and producer Jeffrey Seller, this 360-degree, immersive exhibit is designed to take visitors deeper into the life and times of Alexander Hamilton, while at the same time chronicling the American Revolution and the creation of the United States of America. The exhibit will feature an audio tour narrated by Miranda. Following its Chicago premiere, the exhibition will travel to select U.S. cities. The Field Museum is also located at the museum campus near the Shedd Aquarium. The newest and largest resident at the Field is Maximo, a gigantic titanosaur. This is one of the largest dinosaur fossils ever found, and I’ve yet to meet anyone who isn’t awed by seeing dinosaurs. The Field also has exhibits focused on wild animals in North America, as well as ancient cultures, geography, and evolution. 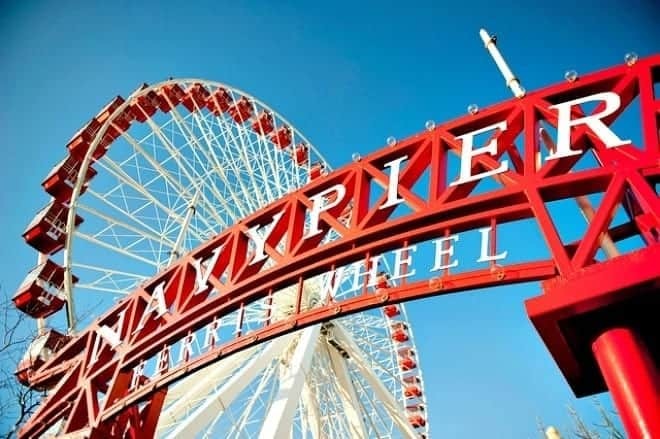 Located on the shore of Lake Michigan, the historic Navy Pier has loads of attractions of interest to teens. While the Chicago Children’s Museum might skew to the young tween set, check out the Amazing Chicago Funhouse Maze, temporary indoor Beach Chicago exhibit, and ride the Centennial Wheel. Take a food tour (teens love to eat after all), or stop in to enjoy one of the family-family restaurants operating on the Pier. A museum too cool for school? Maybe. The mysterious WNDR Museum brings a Yayoi Kusama Infinity Room to Chicago. This pop-up museum features an immersive and experiential installation that merges science and art. Titled Infinity Mirrored Room: Let’s Survive Forever, the work is filled with reflective steel balls and a small, mirrored column that itself encloses an even smaller infinity room. Even if you’re afraid of heights like a certain travelling mom, the SkyDeck Chicago is a must visit. The high-speed elevators will zip you 1600 feet per minute up to the 103rdfloor of the Willis (formerly the Sears) Tower, the tallest building in the Western Hemisphere. The 360-degree views are spectacular, with 40-50 miles of visibility, and you can see four states: Illinois, Indiana, Wisconsin and Michigan. Look, we’re learning geography! For those not afraid of heights, step out onto the Ledge, a glass box extending 4.3 feet out over Chicago streets way way down below. It is perfectly safe, and many teens will love getting selfies lying on the glass floor or posing over nothingness. If you’re in town in February, the city’s annual Theatre Week celebration will take place February 7-17, 2019. Over 100 theatre productions are expected to participate in neighbourhoods throughout the city and suburbs. And don’t miss the chance to see the spectacular, Tony award-winning musical Dear Evan Hansen. It’s set to run at Broadway in Chicago’s Oriental Theatre February 12-March 10, 2019. Dear Evan Hansen is the deeply personal and profoundly contemporary musical about teen life, social media, parenting, and how we connect to each other. The lakeside Lincoln Park is home to the Peggy Notebaert Nature Museum, location of the popular and world-renowned Butterfly Haven. This 2,700-square-foot greenhouse is filled with ponds, flowers, tropical trees and more than 1,000 butterflies and birds. Other exhibits in the nature museum highlight different “wilderness” environments and eco-systems in Chicago. For animal lovers – okay, that’s really everyone – Lincoln Park Zoo is a must-see when visiting Chicago with kids. Teenagers have favorite animals too, and won’t be able to resist locating their special creature among the many mammals, birds and reptiles they’ll spot at the zoo. The 360 CHICAGO observation deck is located 1000 feet above the famed Magnificent Mile in the iconic John Hancock Building. It offers incredible 360 degree views of the city skyline and Lake Michigan. 360 CHICAGO observation deck is also home of TILT – Chicago’s highest thrill ride – an enclosed moving platform that literally tilts you out over Michigan Avenue from the 94th Floor. I can think of several teens who would love that! This attraction also has many interactive learning opportunities about the city’s history, its colorful neighborhoods and iconic architecture. It’s almost impossible to describe this show, but trust me your teen will love spending a few hours with three blue, bald men. The Blue Man Group show is quirky, silly, and really really fun. It may even blow your mind, so leave your expectations at the door, okay? Chicago is a foodie paradise, which is a good thing, as teens tend to eat, and eat, and eat some more. Here are some favourite spots to dine with teens in Chicago. DMK Burger Bar – Enjoy fantastic burgers and fries at this hamburger joint at Historic Navy Pier and at locations around the city. Garrett Popcorn Shops – Through the creation of its world famous Garrett Mix popcorn, an irresistible blend of sweet caramel and savory cheddar cheese kernels, Garrett’s has solidified itself as a must-stop destination for anyone who loves popcorn. Scarf it down as you stroll past shops along the Magnificent Mile, but don’t forget to bring some home to loved ones. It makes for a perfectly edible souvenir. Ozzie Pops and Pretzels – Located in the Navy Pier Family Pavilion, Ozzie’s is a sweet spot for all-natural popsicles, hand-twisted pretzels or fresh squeezed lemonade. Gino’s East – Where to go for classic, deep dish Chicago pizza, with a variety of locations. If you’re a deep-dish newbie, please note that it takes about 45 minutes to prepare one of these filling, knife-and-fork pies. Order some appies for the hungry teen hordes while you wait. Eduardo’s Enoteca – In Chicago’s Gold Coast neighbourhood. A classic Italian neighborhood eatery with rustic pizzas and handmade pastas. Candyality – Yes! I’m including a candy store as a place to eat. Satisfy your teen’s, and your own, sweet tooth at the best candy store in Chicago, Candyality. This fabulous independent small business has the best sweet treats in town, including sour candies, Jelly Belly beans, Harry Potter candies, specialty licorice, and imported treats from Britain and Japan. Owner Terese McDonald and her staff are happy to give you a special Candy Personality reading to understand what your candy choices say about you. Families looking to save money while sightseeing in Chicago should check out Chicago CityPASS. CityPASS saves you 51% on admission to 5 great Chicago attractions: Shedd Aquarium, the Field Museum, SkyDeck Chicago, Museum of Science and Industry OR 360 Chicago, and the Adler Planetarium OR the Art Institute of Chicago. With the CityPASS mobile ticket feature, you can download your tickets onto your smartphone before you even leave home. And as always, with your CityPASS tickets, you can skip the main ticket lines and enjoy Fast Pass/VIP entry at all the attractions, saving you time and keeping your teens happy. Photo Credits: Claudia Laroye, CityPASS, 360 Chicago, Art Institute of Chicago, Shedd Aquarium, Skydeck Chicago. 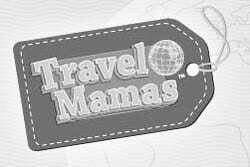 Disclosure: The Travelling Mom thanks CityPASS for its sponsorship and Choose Chicago for hosting her visit to Chicago. As always, her opinions are honest and her own. This post contains affiliate links. I would use this in Toronto. Many wonderful attractions to visit. I would use this pass in the NYC. I’ve been wanting to visit Philly for a long time, seems like a great place to explore history with the kids! Love ’em both, good luck! Wow! Chicago sounds amazing. Anish Kapoor’s The Bean sculpture, as you’ve pointed out, is famous worldwide. It certainly put Chicago on my to-go list. Plus, there’re many museums and interesting architecture in the city too. I am particularly interested in the Art Institute of Chicago because I’m a fan of Impressionist and Post-Impressionist art. It would be awesome to see the gigantic titanosaur skeletal too! So many awesome sights to see in Chicago! We did our first Chicago visit last year and we’re delighted. I can see why you found it a good spot to visit with teens. I am sure the Shedd Aquarium was a big hit. The helicopter tour would be my choice! It looks like your kids had a great time at Skydeck Chicago! But did you try Garrett’s popcorn. It is quite addicting! The helicopter tour is quite amazing, a great thing to do with the family! And yes to Garretts!! SO delicious. Chicago!!! My husband and I used to live there and we take every chance we get to take our kids. What a great and comprehensive list of things to do in Chicago. I remember visiting the Skydeck when I was there, as well as some of these other experiences. I keep hearing about the Blue Man Group and am not sure what to expect, but would be interested to see their show. Personally would love to win a Citypass to Toronto. Great choice! Good luck Rhonda. I’ve never visited Chicago but stopped for transit so many times! It’s on my bucket list, especially with the Hamilton museum; such a great show! A great place to visit, outside of the airport! Well I love close to Toronto so I’d probably get the Toronto pass. All though I’m thinking a road trip to New York might be a better option. You’ll have a tough choice to make if you win, best of luck! I would use it in Toronto, so many attractions I still have to see. I would choose Chicago since that’s where my in-laws live. I keep reading about City Pass Chicago. It seems like a great way to see a great city. I should really enter the contest and see if I can win a City Pass to Tampa. It’s just down the road from us and we would love to travel around and see city. What better way to do that than City Pass? Well, you’ve just entered, and I hope your wish to use your CityPASS in Tampa comes true! Love Love Love Chicago. It is one of two of my favourite cities in the US. it is a tough debate if NYC of Chicago is my fave. I give a big thumbs up to all your suggestions. But you will find me running scared like a 2 year old from the SkyDeck’s glass box! I do love both those cities! And I’m with you in not stepping out onto the SkyDeck. I could only do the edge, and couldn’t look down at all! It’s phenomenal, I learned so much about the city’s history and architecture. Clearly I need to get to Chicago! Although I do not think I could do the Skydeck experience! There’s still lots to do in Chicago, don’t worry! Time to get there Lillie! The helicopter ride would be first in our list. I haven’t been to that side of the world yet and this list excites me. The museums sound good and food is so different… looks so tempting. The heli ride is pretty epic! I think you’d love it. I have teens and would use this! I live here and Chicago and couldn’t agree more with the pics you choose! That’s great to hear, thanks Ilona! We visited Chicago when our son was a tween, and we had a blast! We went to Navy Pier and also to Millenium Park. You’ve got some great suggestions for other things to do in Chicago with teens and tweens. We’ll have to make note next time we go there. Great giveaway! I would use this CityPass in Chicago or NYC! That’s a tough question! Probably in New York since we go there often but it’s been far too long since I’ve been to Chicago so a return trip might be in order. And I have always wanted to visit Philadelphia! Each of those destinations sound great Lisa. Good luck! What an epic giveaway! I’d use it on out next visit to NYC.